I decided to make a Happy Birthday card for a friend of mine whose birthday is this week. I used a Sherri Baldy digi stamp called "Luv U"
I colored her in with Promarkers and Gel Pens. Thank you for joining us on the besties challenge. 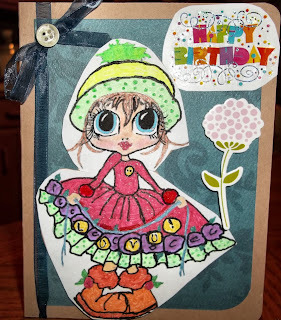 Im sure your friend is going to love that you made a card for her. Very sweet.